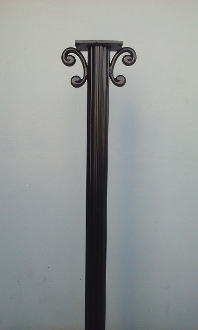 Sample image shows a Linden Center Mount post in Satin Black. All posts ship in easy to connect sections; final assembly is required before installation. Assembly is quick and easy.